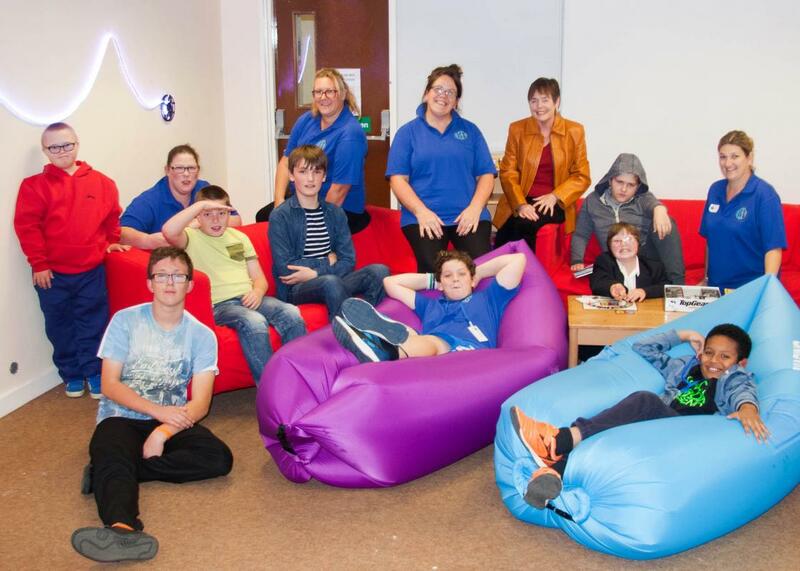 A few weeks ago Hungerford Rotary Club received a request for help from Vicki King who set up a group for parents and children in Years 6 to 11 with special educational needs and disabilities such as ADHD and autism. 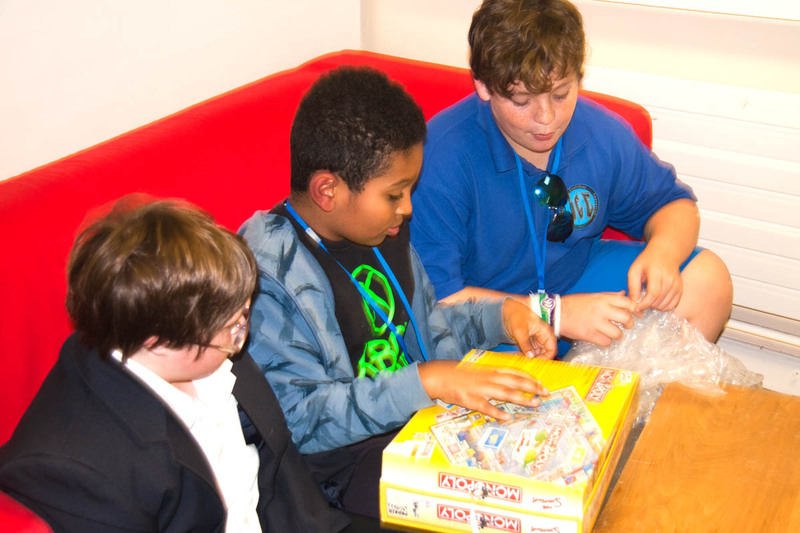 The group meets weekly at the John O'Gaunt school and Virginia Crane, the chair of the club's Youth Opportunities Committee, went along with club President Llyn Robins, to see how they could help. 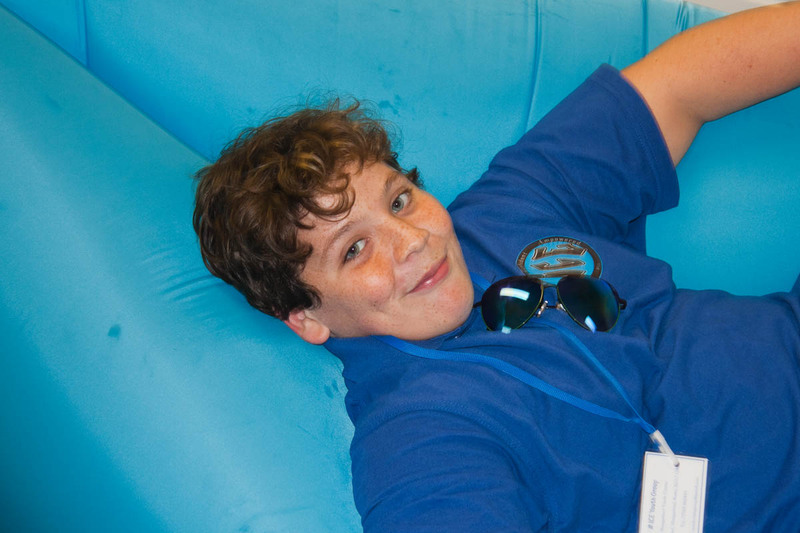 Vicki explained that they had a number of specific needs including 4 inflatable loungers for a "chill out" room. Virginia and Llyn were impressed with Vicki's enthusiasm and recommended to the club that they donate the money to buy the required loungers. 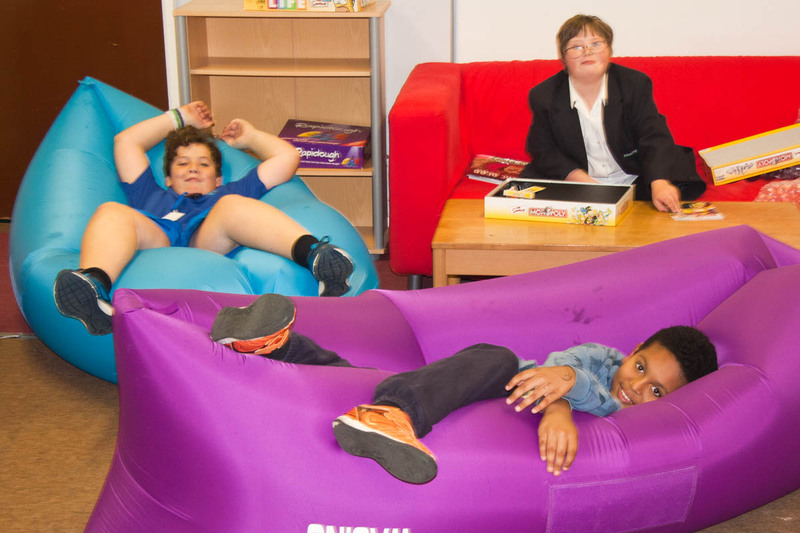 Last week Llyn and Virginia visited the club and could see that the loungers were a great hit with the children. 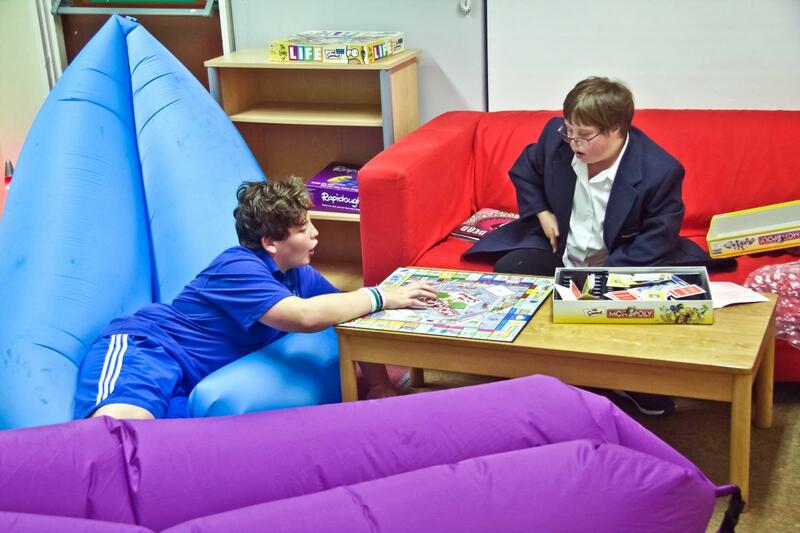 The "chill out" room has its own lighting system which changes in colour to create an atmosphere to help children relax in between activities. The group is aptly named ICE. Independent - Confident - Empowered. It is going to be a great support to all the children and parents involved and Hungerford Rotary Club is very glad to have been able to help. 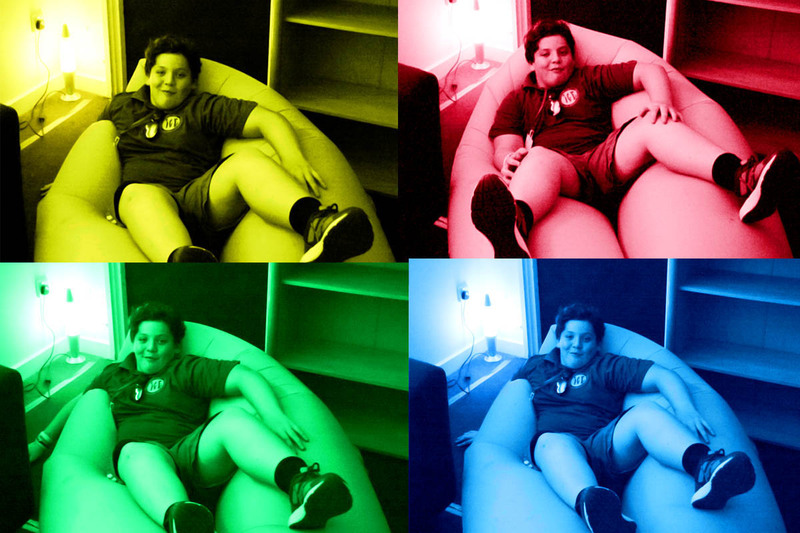 The photos show some of the children in the "chill out" area with the loungers. 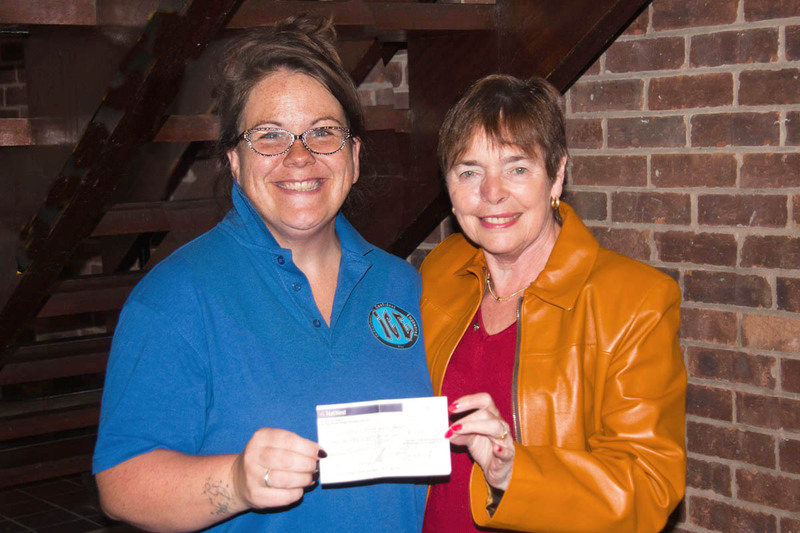 Vicki King is seen receiving a cheque for £350.00 from Hungerford Rotary Club's Virginia Crane. 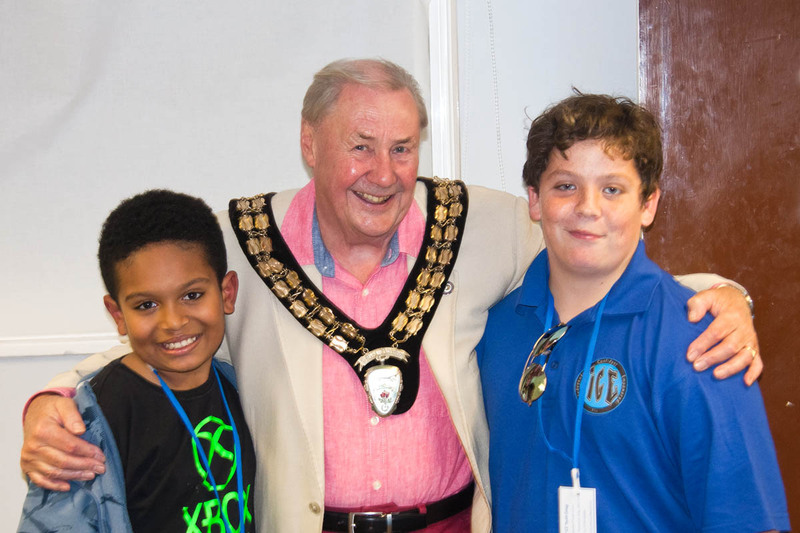 Virginia's husband, Martin, also went along on the evening and 2 of the boys insisted on having a photograph with their local Mayor!.